The Well for Health, a wellness center located in Cornelius, is hosting a Zumba class every Monday evening here at Fleet Feet! 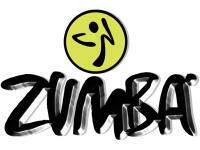 The class goes from 7:15 to 8:15pm and is for all ages and abilities! The cost is $5.00 per class. Purchase a bundle of 10 classes for $40. Email thewomenswell@gmail.com to sign up for a class or call 704-799-5433.